With my Little Men reread I couldn't help noticing that stylistically it isn't like books we see today. It doesn't follow what I've learned about writing. This doesn't mean there's anything wrong with it. It means it was written in a different period when different tastes prevailed. This is the first thing that struck me while reading Little Men. It's written in the third person and moves around from character to character's head. This isn't something we see a lot of these days. It's not that it's wrong. It's just that it's much more popular in days of old than it is now. Now, particularly in children's and YA fiction, we see first-person narrators. When we do see a third-person narrator, it's often a third-person limited narrator. Meaning the book is written in the third person from one character's point-of-view, getting into only his/her head. That character is on stage always, and the reader can only know what he/she knows. Little Men isn't like that. 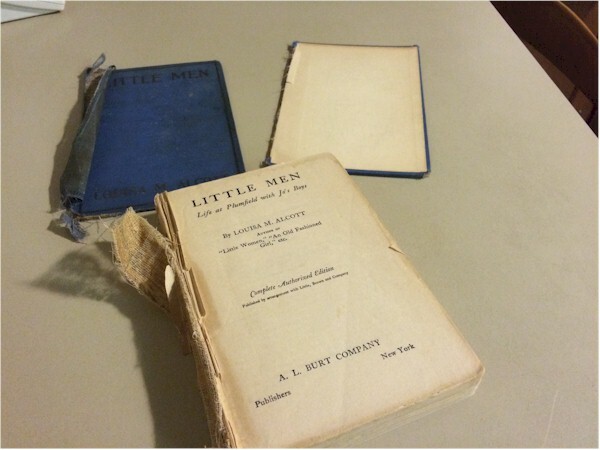 Little Men is written in the third person, except for every now and then when it's not. The first line of Chapter II: "While Nat takes a good long sleep, I will tell my little readers something about the boys, among whom he found himself when when he woke up." The second paragraph begins with "To begin with our old friends." In the middle of Chapter III: "I don't know whether the man understood the child's mute language or not, but when the boys were all gathered together in Mrs. Bhaer's parlor for the Sunday evening talk, he chose a subject which might have been suggested by the walk in the garden." We see "I" again in Chapter IV. Chapter V. Hmm. Does it happen once a chapter? However often it happens, it happens. Who is the mysterious I? We never know. "AS there is no particular plan to this story, except to describe a few scenes in the life at Plumfield for the amusement of certain little persons, we will gently ramble along in this chapter and tell some of the pastimes of Mrs. Jo's boys. I beg leave to assure my honored readers that most of the incidents are taken from real life, and that the oddest are the truest; for no person, no matter how vivid an imagination he may have, can invent anything half so droll as the freaks and fancies that originate in the lively brains of little people." Not something you see a lot of these days. Fat shaming, as such, may not have been "a thing" in the nineteenth century. As such, it probably wasn't a thing when I read this book over and over again when I was a child. I hadn't even heard the term when I read this book to my sons when they were little men. But, man, the fat shaming in this book is hard to ignore. It's all directed toward one character, George, who is called Stuffy by everyone. (Because he stuffs himself, see?) George's weight, and more particularly, his desire to eat and eat a lot, defines him. It most definitely appears to be considered a character flaw within the world of Little Men. Readers first hear of him as "the fat one." There used to be a feeling, and perhaps there still is, that the values of the present age cannot be imposed upon the people of an earlier one. For instance, the medical world didn't know about germs until the end of the nineteenth century, so we can't condemn doctors before that period for not washing their hands between patients and thus spreading disease. (Do other viewers cringe while watching the ungloved, unwashed doctors on Mercy Street?) Perhaps someone has done a study of nineteenth century literature, journals, and letters and can attest to the era's attitude toward people like poor George who is, in Little Men, probably not even in his early teens. Maybe this is just the way things were back then. However, I can't help but find it striking that in a book that pushes values, gives us at least one scene with a story about Jesus, goes on and on about achieving goodness, no one recognizes the cruelty of name calling. While we see examples of one boy protecting another from bullying or pain inflicted by others, no one does this for George. The Professor and Mrs. Jo also do little to protect this child. When Jo's mother (that would be Marmee, Little Women fans) sends little cakes made in various shapes for the boys, George's is in the shape of a fat pig. When the rind of the melons he's been growing all season is carved with the word "pig," Jo is sympathetic, but instead of punishing the vandals, she helps George play a very lame trick on them. I have two contemporary YA novels on my Kindle that appear to have overweight main characters. I hope now to get around to reading them soon. Remember how closely I feel my adult life followed a Little Men type of arc? Yeah, this reread has, as I said yesterday, made me feel just dandy about that. 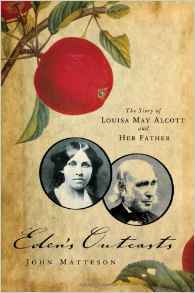 And, yet, I now want to reread Little Women and get hold of a copy of Eden's Outcasts. Because I have trouble leaving this alone. 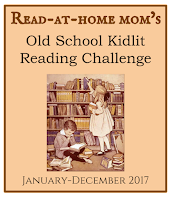 Check out Little Men Reread Part II Not everything I thought it was. Check out Little Men Reread Part I My life as Jo Bhaer. This is really interesting, Gail. I think it was brave of you to re-read it. I have a few from my childhood (including Little Women, actually) that I have started as an adult and then quickly shut the book. Because I don't want to lose my positive associations with the book, and I can see that I will if I keep going. Another one for me was the Famous Five series by Enid Blyton, which I ADORED as a child. As an adult, I couldn't get past Anne's subservience. Though other Blyton books that I read first in my 20's were ok for me. ANYWAY, I think it's ok to have based your life on aspects that inspired you at the time, even if to your adult eyes there are other issues with the book. I found your analysis very interesting. I had something similar happen when I reread "The Once and Future King" by T.H. White. I don't know if I even finished reading it, because it wasn't as good as I remembered. On the other hand, when I reread "Jane Eyre," I became a fan. However, when I read that book as a teenager, I wasn't all that impressed. So I guess the secret is to reread books you weren't that crazy about in the first place. Little to lose. The books I read in February were also not as good as I remembered them. I have never read Little Men (or Little Women, for that matter, though I plan to finally do so this year) but reading your thoughts about your re-reading was so interesting. Thank you for the detailed write-up, and for joining in on the challenge this past month!